So, what have I been up to this week? Well for a start: getting the second level in! 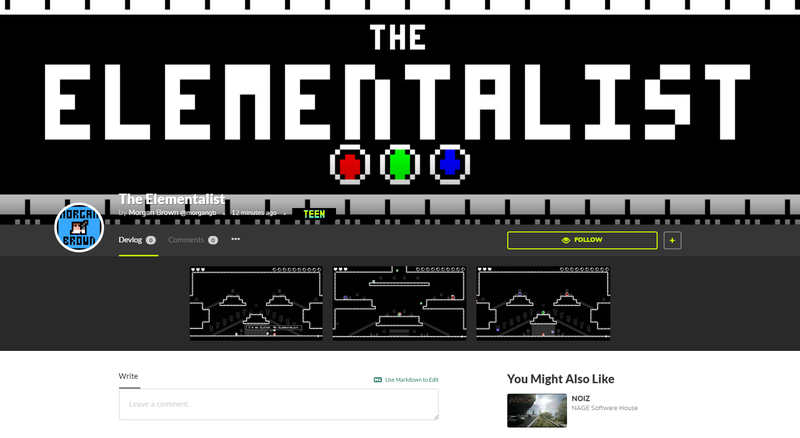 That's right, The Elementalist now features two WHOLE LEVELS! In addition it's now up to 4 cutscenes and 4 enemies. Progress is looking good content-wise; if I can keep up this pace for the rest of development I can definitely meet my end of April deadline and then focus on exams for May and June. But, I hear you ask, where will I be able to buy The Elementalist in April? Well, let me tell you: for a start, here on the fabulous itch.io, but if you prefer, you will also be able to buy the game on GameJolt! The game will be the same on both platforms - you won't be missing out on anything if you buy it on either one. They will both be priced at $4.99, and I will be earning the same amount from both sites. The Elementalist will not be coming for Steam. At least, not for the time being. I'll be looking at getting onto some other digital distribution platforms and you can probably guess which ones they are, but there's no guarantee that I'll be able to get onto them. I'll be trying my best to set up a Linux build for The Elementalist, but I can't be certain it will work out and I'll be able to get something functional together by my deadline. It won't be coming to Mac though, that much I can say for sure: I have no way of accessing a Mac in any form, and buying one would not be worth the cost. 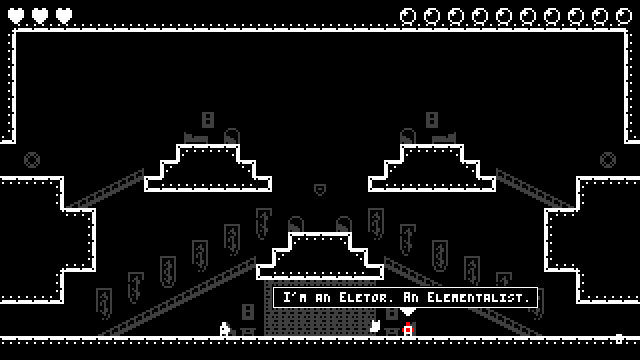 And no, sadly, The Elementalist will not be coming to the Nintendo Switch in April. Thank you for reading today! It's been something of a short one, but next week I will hopefully have more to show off. For now consider following me here on itch.io or over on Twitter for updates on the game and see new info as soon as it's available. Otherwise, I hope you come back when the game has launched!